Make Your Vote Count Today! | Welcome to Marta's Cakes! Make Your Vote Count Today! Election blues got you down? We have a sweeter solution for your election blues! 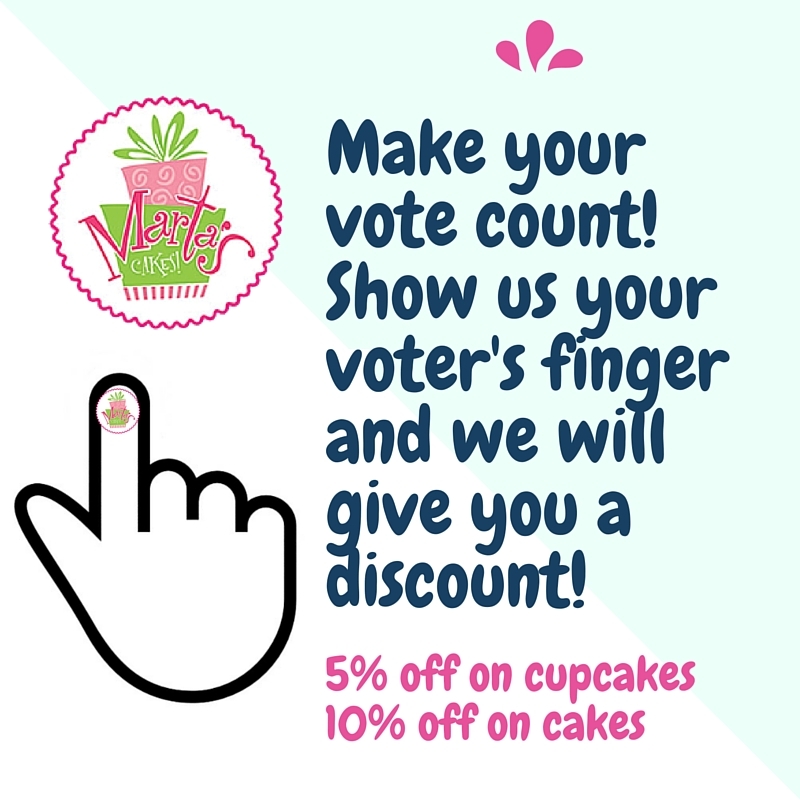 Come to any Marta’s cakes branch and show us your voter’s finger that’s been marked with indelible ink and we will give you a 5% discount on our cupcakes and a 10% discount on our cakes! Party Package Icing To Go! Marta’s Cakes in KimXi Movie! Copyright © 2017 | Marta's Cakes | All Rights Reserved.